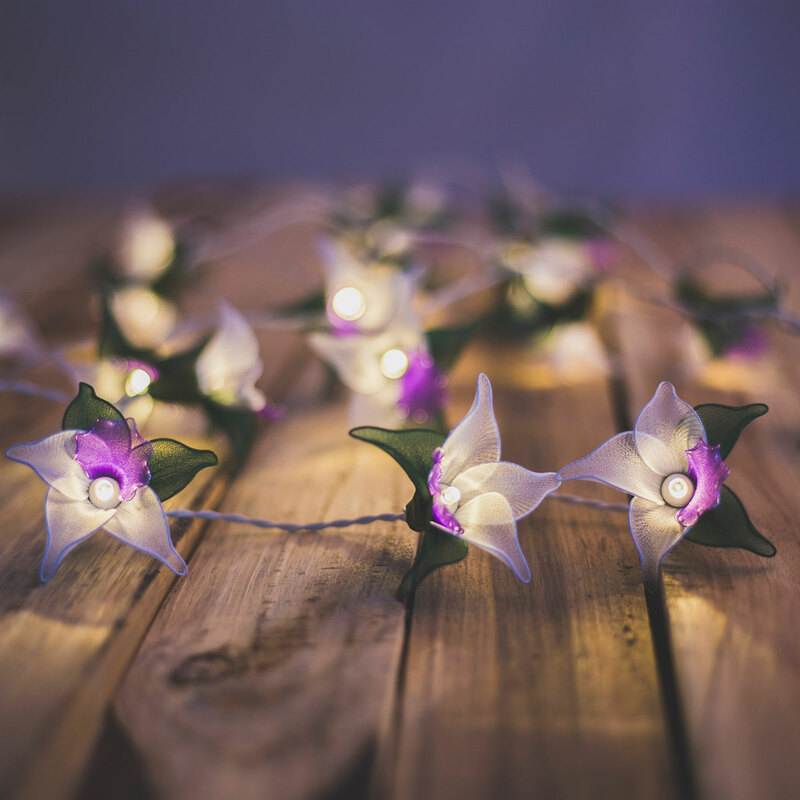 There's Nothing more to pay, this product ships FREE worldwide. 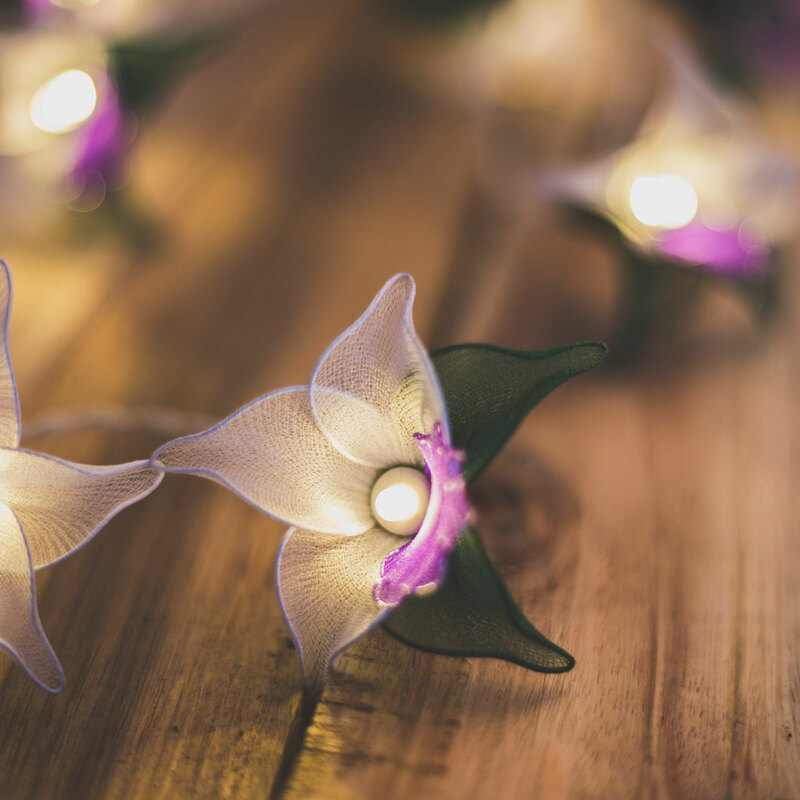 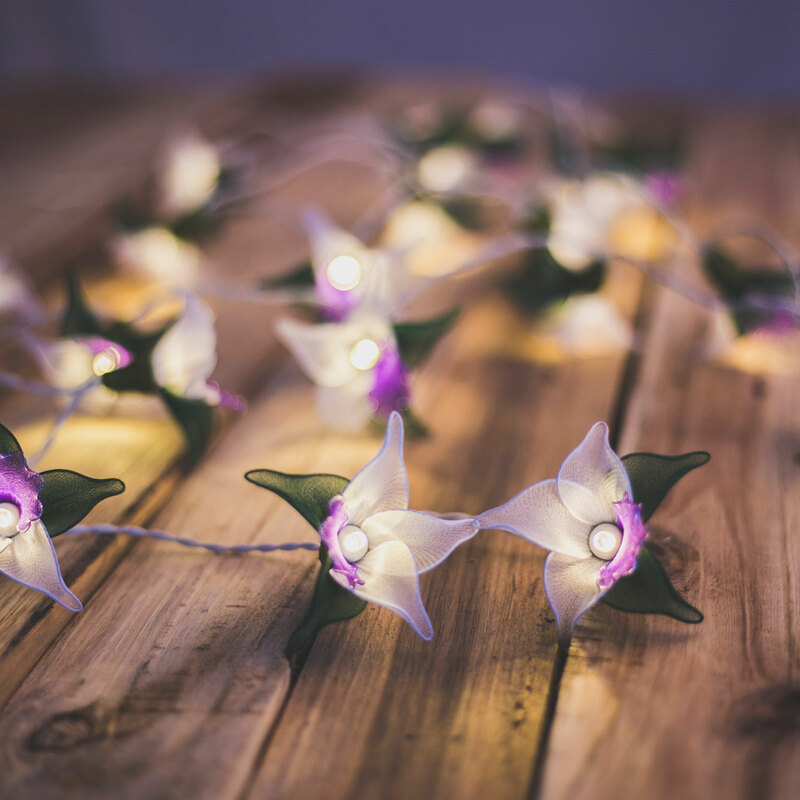 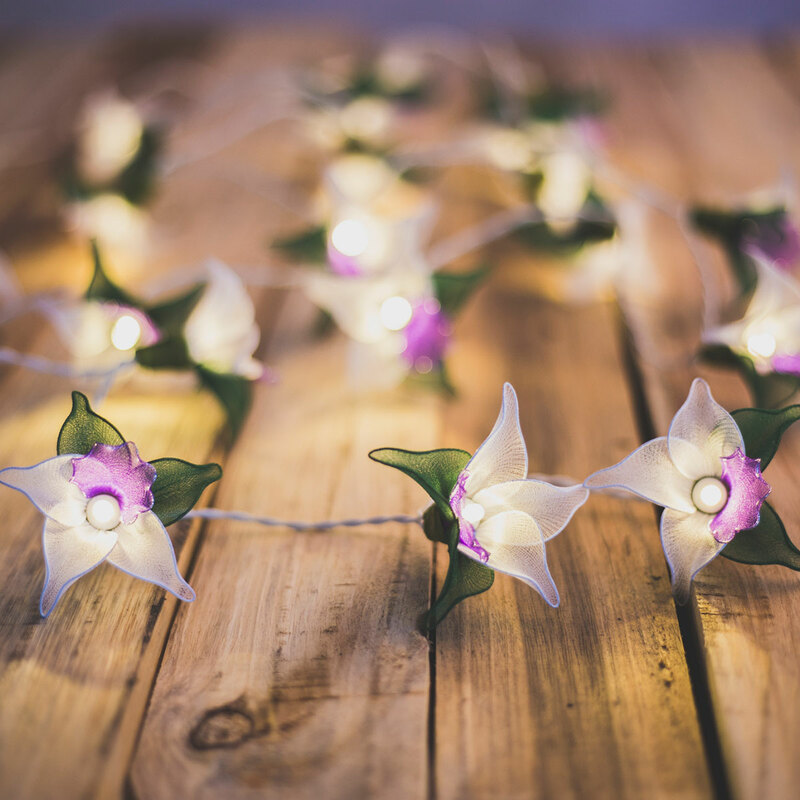 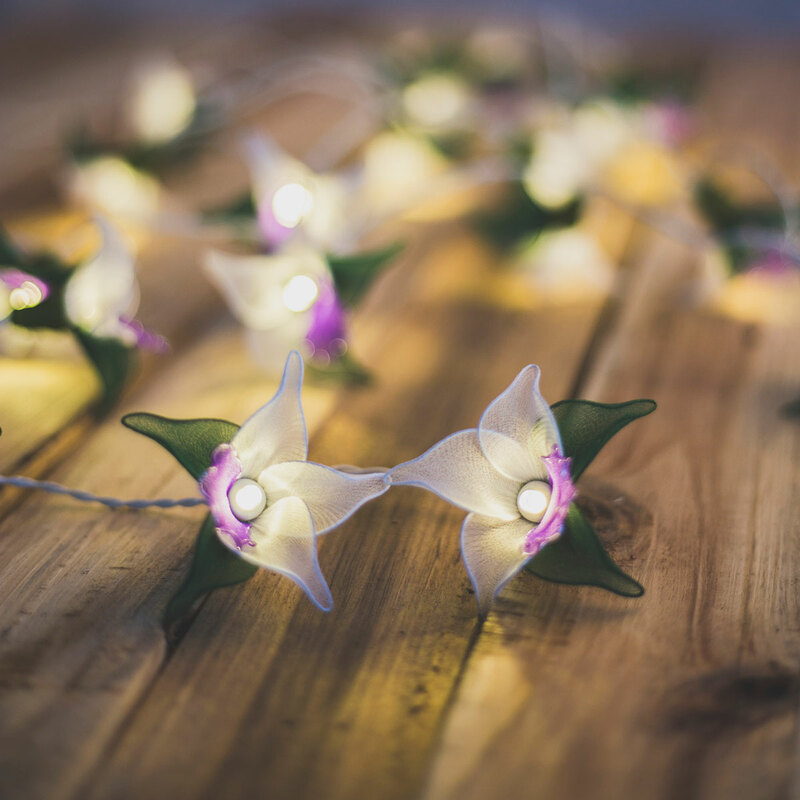 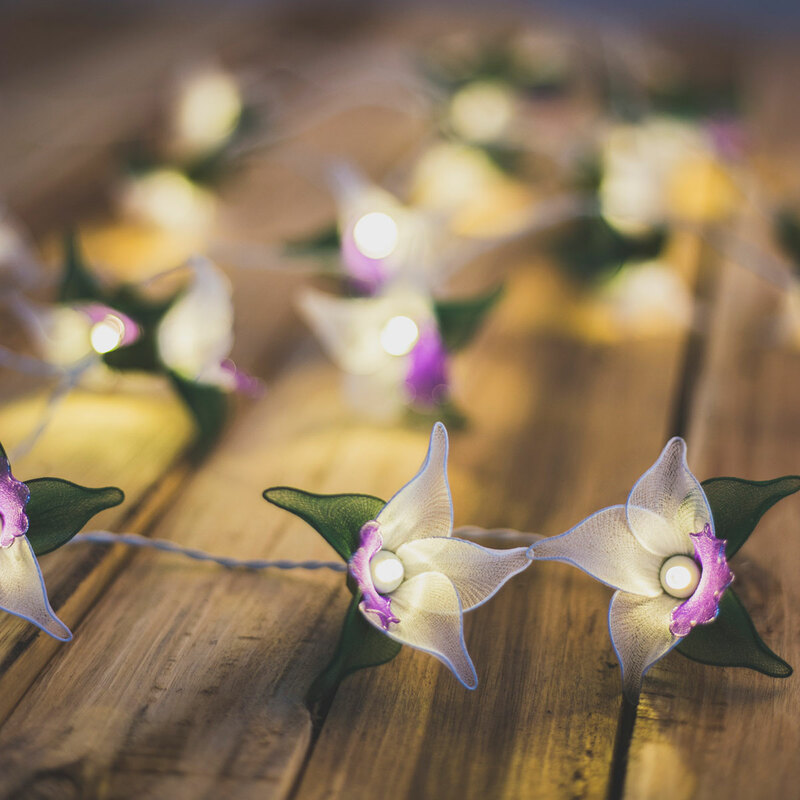 Our Purple Orchid LED Fairy Lights are beautifully pieced together by hand one petal at a time. 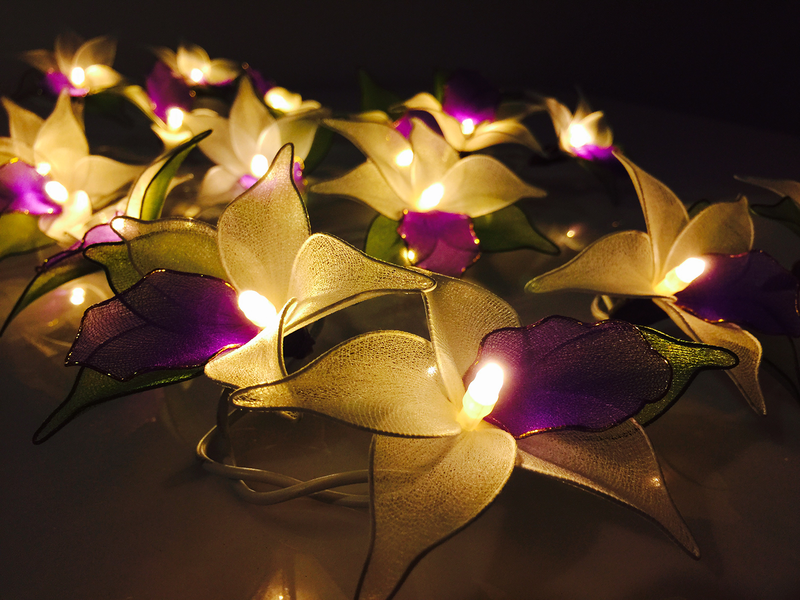 Each set requires a whole day to complete and this excellent craftsmanship really does show in the finished product. 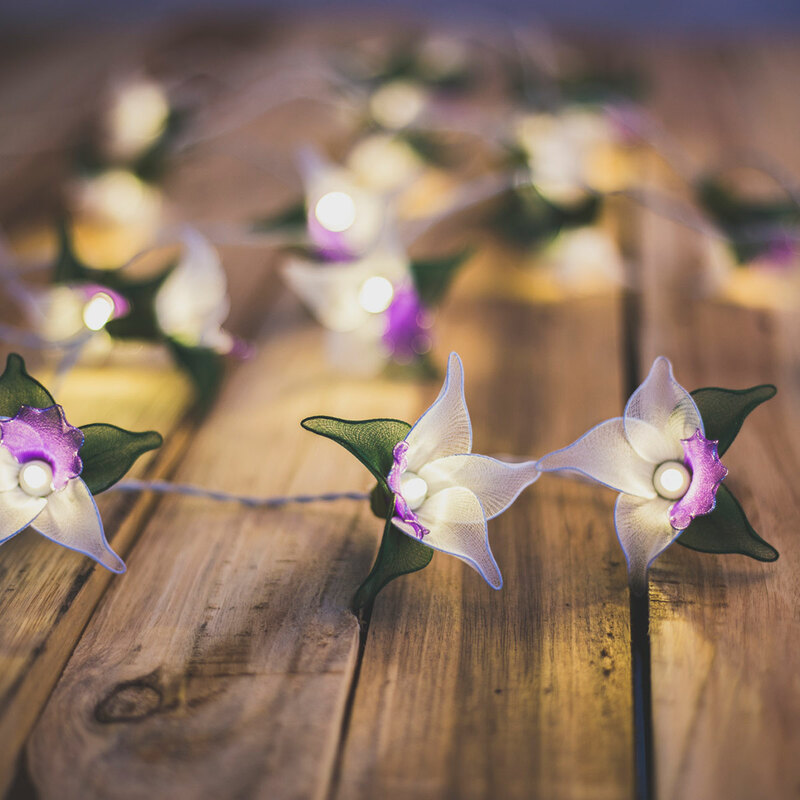 This attention to detail makes for what is a truly stunning set of lights that will brighten any home, wedding or celebration at which they are displayed!